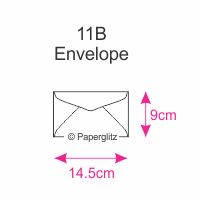 Specialty envelopes - Paperglitz is a wholesale supplier of specialty envelopes that are widely used in the wedding industry and for other special events. 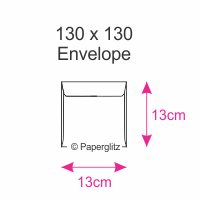 All of our envelopes are manufactured and packaged right here in Sydney, Australia and are made directly from our own range of local and imported premium metallic and matte papers. Compare Our Low Prices! 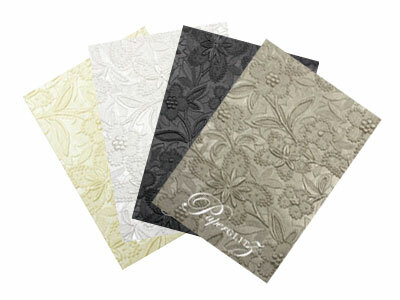 We are regularly 10 to 20% cheaper than other major specialty paper suppliers. Don't pay double mark ups! 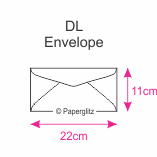 Our envelopes are manufactured directly from our own papers meaning lower prices for you. 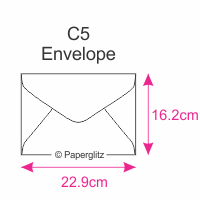 We stock 11b, C6, DL, C5, 130x130mm Square, & 160x160mm Square & 5x7 Inch or 130x185mm envelopes in a great range of colours. 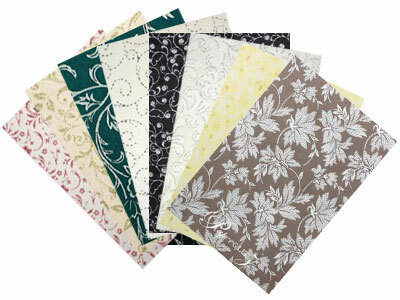 150x150 and custom sizes available upon request (Minimum order quantities apply). 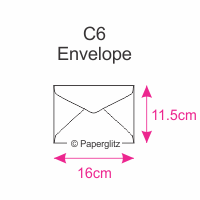 All 11b, C6, DL, 160x160 & 5x7 Inch envelopes are available in banker style flaps (triangular). Some of the 130x130 & C5 are in the wallet flap (straight). 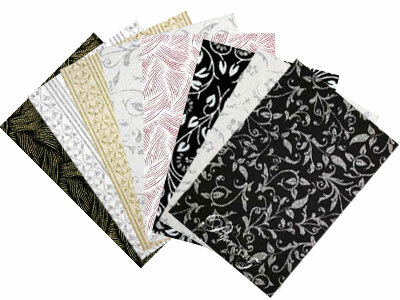 If you need a particular flap style in these sizes, please contact us in advance to check current stock types. Our popular sizes are available in over 45 different colours! Our standard range is lick & stick (or simply moisten with sponge) and fast sealing. 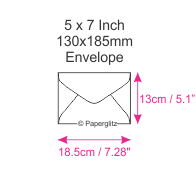 If you have a large order, Seal & Peel envelopes are available at additional cost. 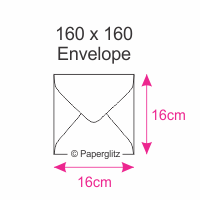 All envelopes are available in packs of shrink wrapped packs of 25 & 100 or in bulk carton quantities (400-600 depending on envelope size, supplied loose). Got a big order and need 1000's - no problems. With over 300,000 envelopes on the shelf, we most likely have the colour and quantity on the shelf ready for same day dispatch! Need even more than we have on the shelf - give us about 2 weeks lead time and we can have as many as you need made right here in Sydney! 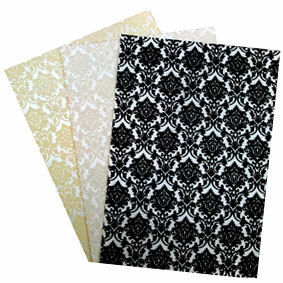 Buy with confidence and specify only "Genuine Paperglitz Specialty Envelopes" for your next project.